We are now taking expressions of interest for 2019. 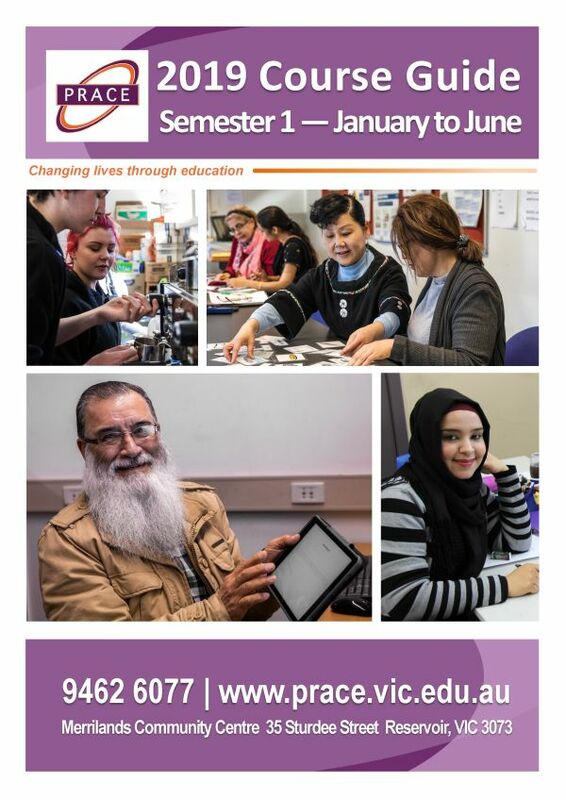 Contact us using the ‘course enquiry’ button at right, email office@prace.vic.edu.au or ring us on 9462 6077. Description: The course aims to maximise students’ opportunities to engage with further education and to increase independent living skills. Pathway: Participants will be assisted and encouraged to pursue work/volunteer or further study options explored during the course.